Granzella has started planning to bring out the latest work of the milestone in side-scrolling shooter games, "R-TYPE", which went out into the world in 1987. 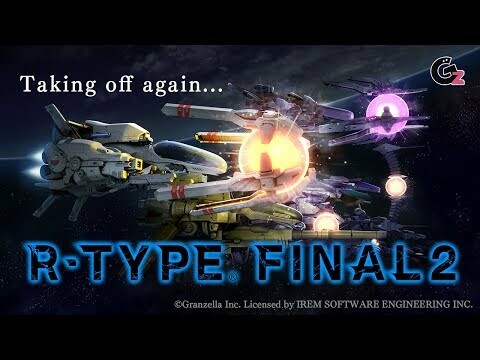 In this latest version of R-TYPE game, all the player fighters that appeared in R-TYPE Final, expressions of attacks, operability and the exhilarating feeling of the gameplay will be intensified. In addition, more customizable elements will be available for the player fighters. The stages are rebuilt from scratch for the new game. As this is going to be the first R-TYPE game since 16:9 displays have become the standard, the screen structure will be reviewed to improve the playability and make the side scrolling shooter game more exciting and enjoyable. In addition, the stages that appeared in the earlier work will come back with new expressions and interpretations. Though the difficulty level of the game is originally high, this game allows the player to set a difficulty level from a wider range according to his or her ability. The higher the difficulty level, the more scores the player will get. It also enables the players to compete the scores with R-TYPE pilots from all over the world. The R-Type Final 2 release date is to be announced on PS4. Notify me when R-Type Final 2 is available.